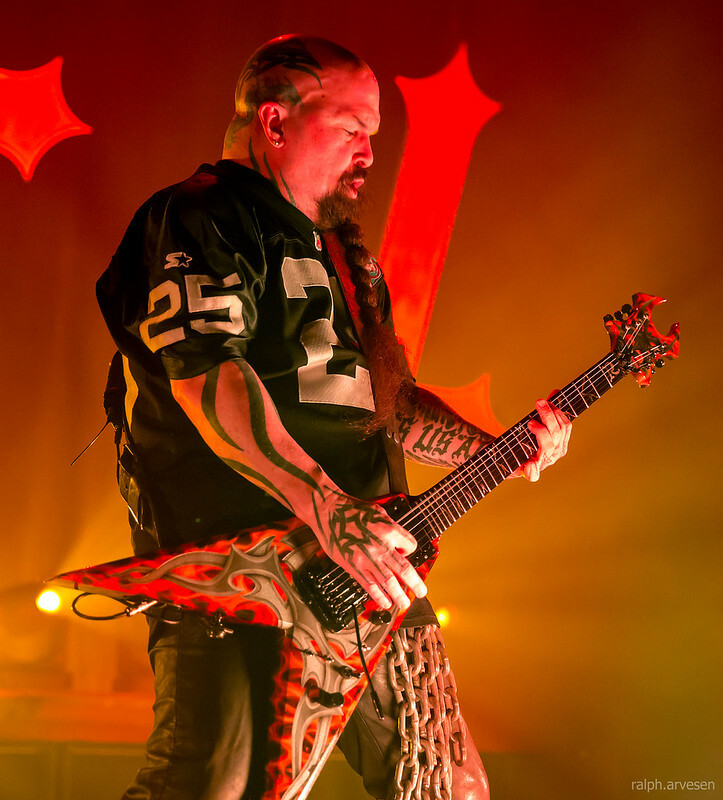 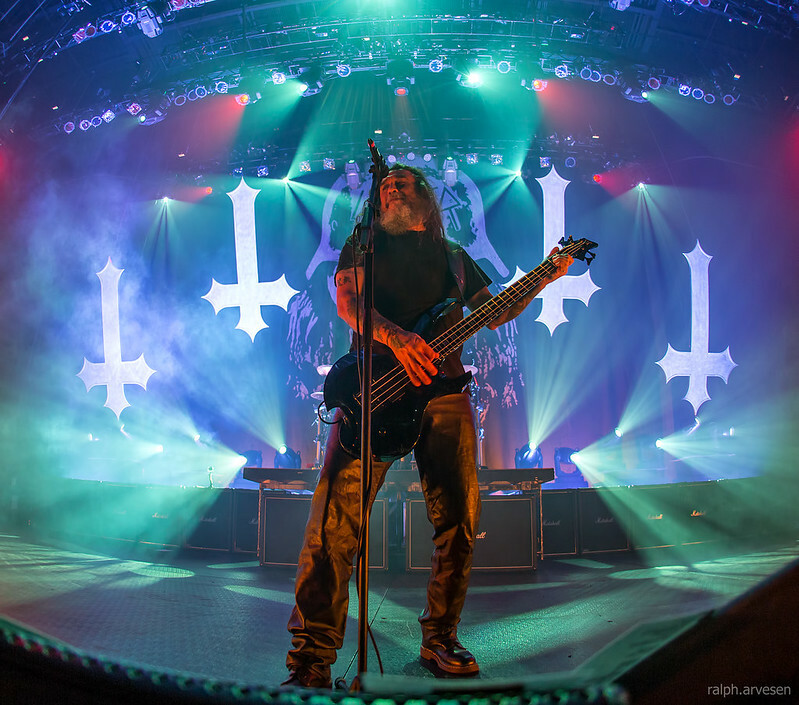 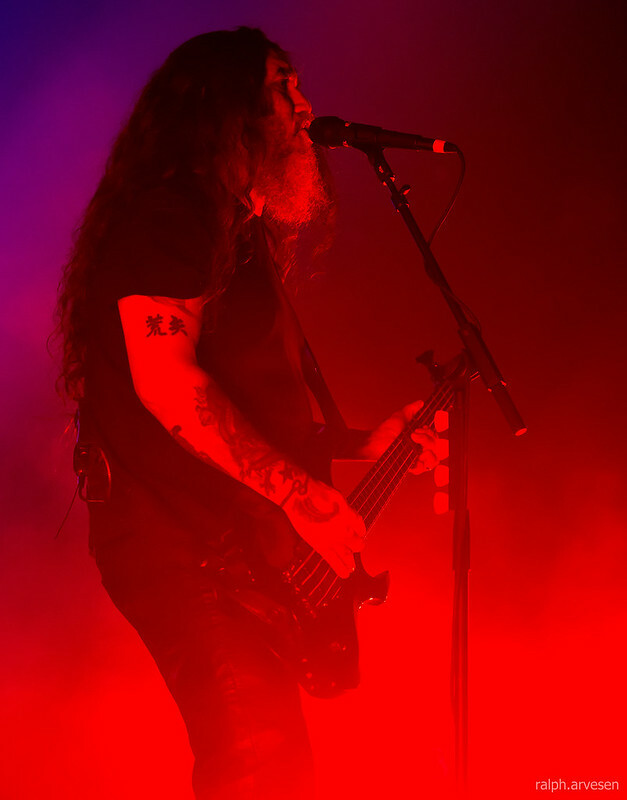 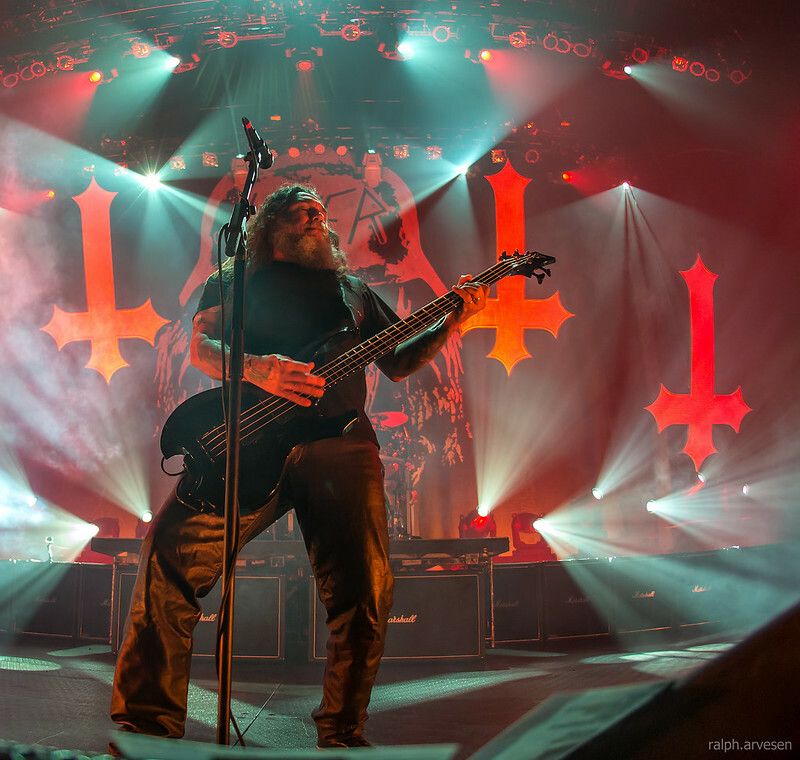 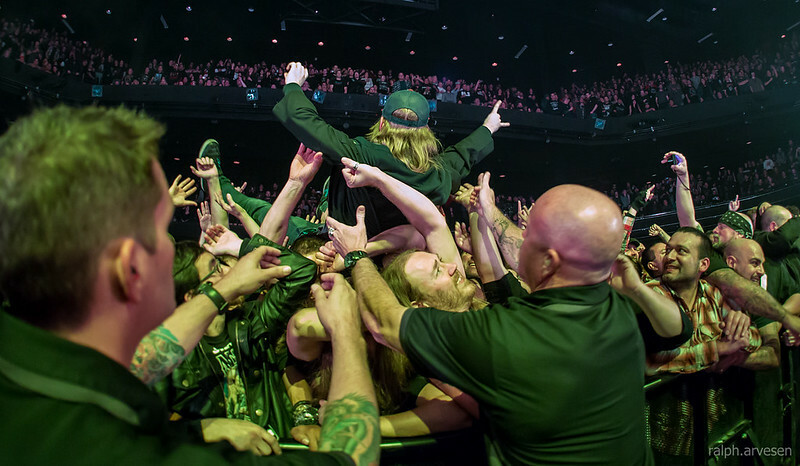 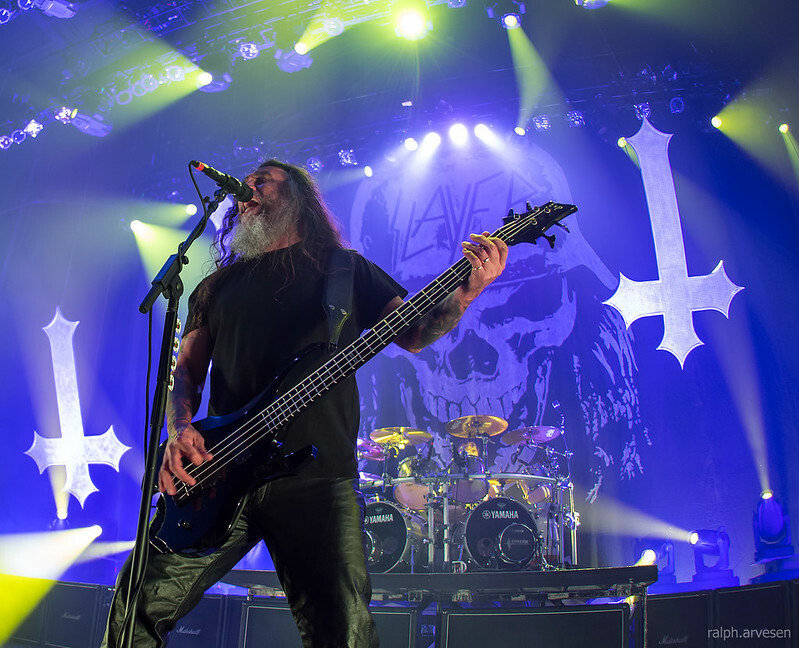 Slayer performing at ACL Live in Austin, Texas on 2014-11-18. 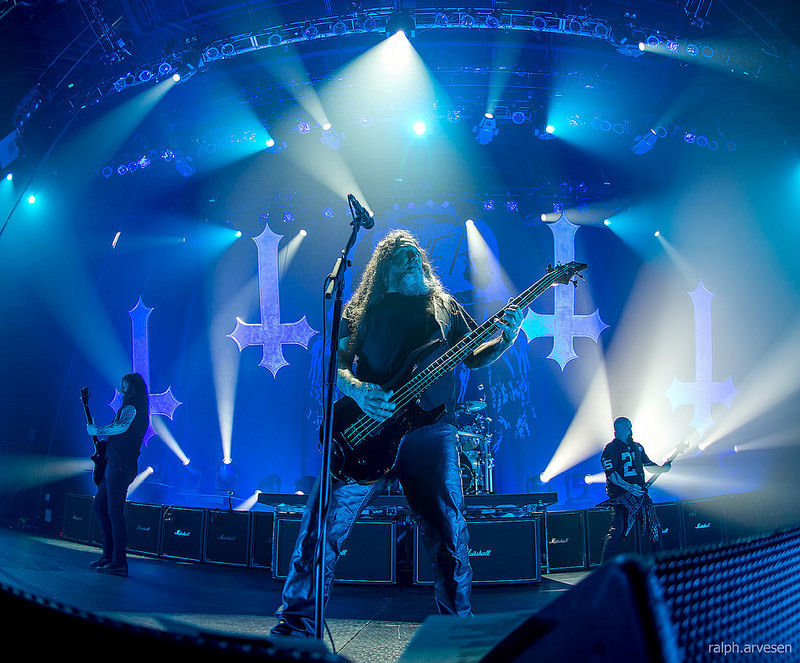 Band members include Tom Araya, Kerry King, Jeff Hanneman, and Paul Bostaph. 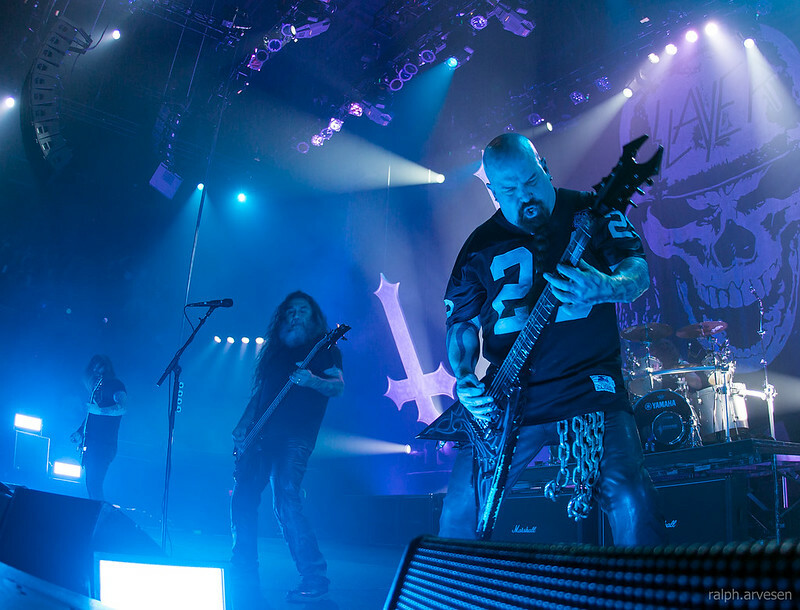 Slayer is an American thrash metal band from Huntington Park, California, formed in 1981 by guitarists Jeff Hanneman and Kerry King. 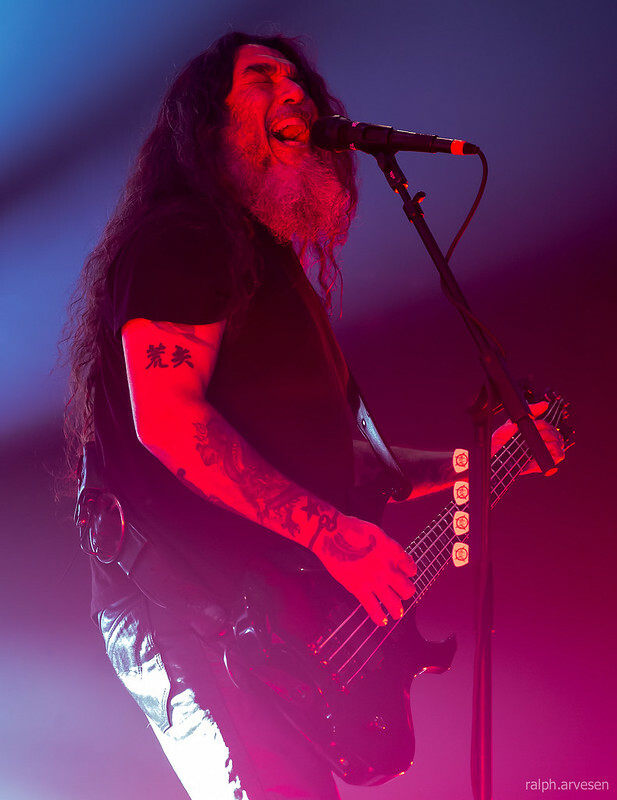 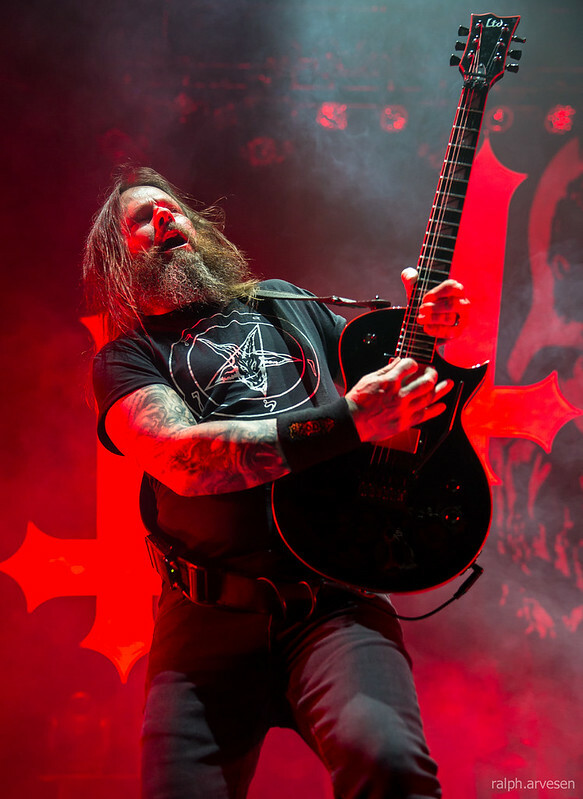 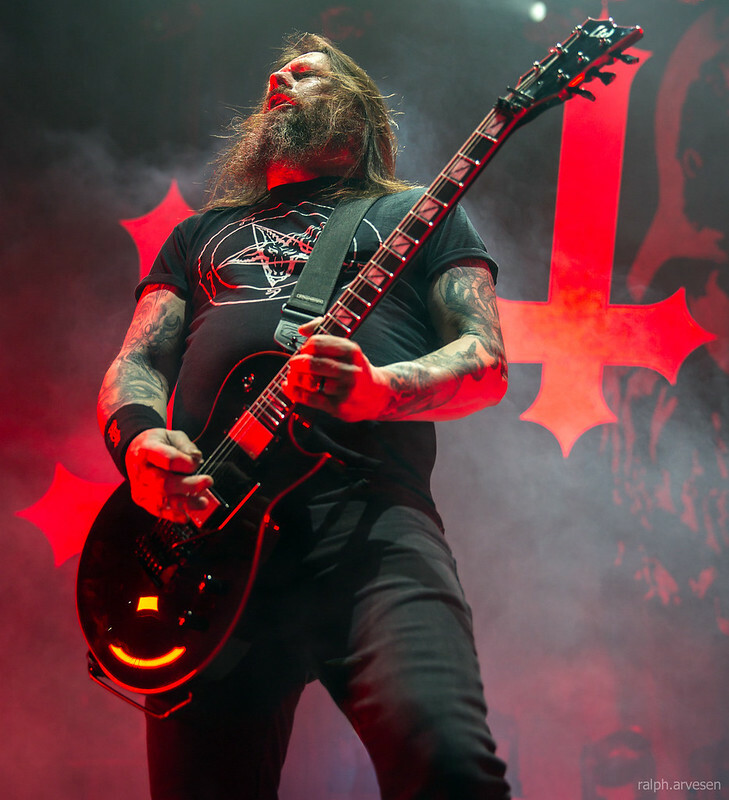 Slayer rose to fame with its 1986 release Reign in Blood, and is credited as one of the "Big Four" thrash metal bands, along with Metallica, Megadeth, and Anthrax, as well as a pioneer of the thrash metal subgenre of heavy metal music. 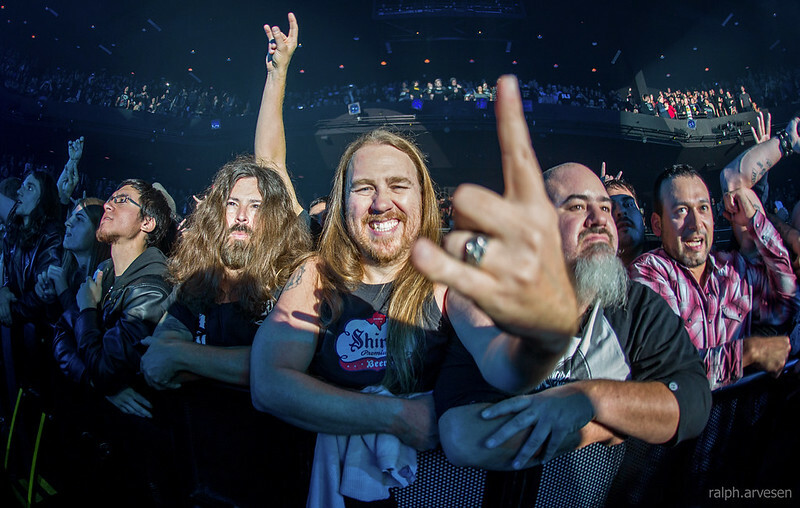 Between 1991 and 2004, the band sold more than 3.5 million albums in the United States.